Original flavor combination and effective submission! This appetizer will decorate any table. 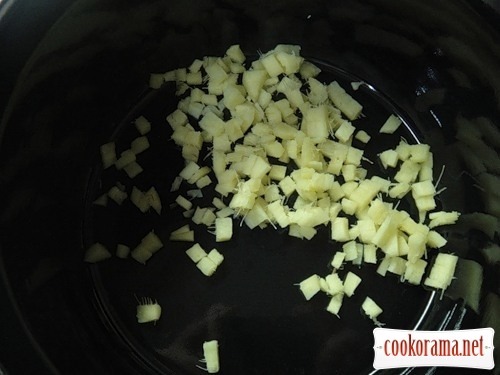 Clean ginger and chop it very finely. Warm up olive oil in a saucepan with a thick bottom, add ginger. 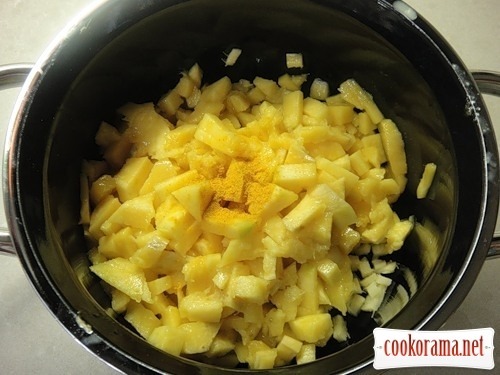 Peel mango, remove seed. Finely chop. Add to ginger. 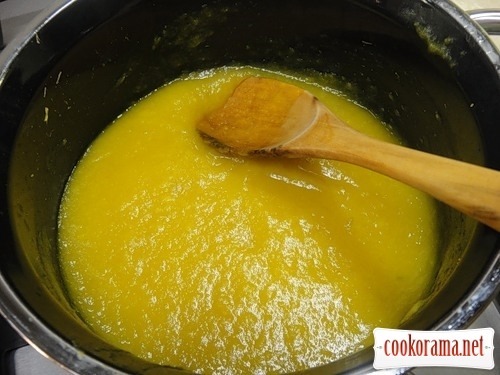 Simmer, constantly stirring, over low heat for 10 minutes. Pour water, cover with a lid and cook for another 10 minutes. Pour gelatin with cold water and give to swell. Remove pan from the heat and grind the contents until creamy. Add gelatin and mix thoroughly. 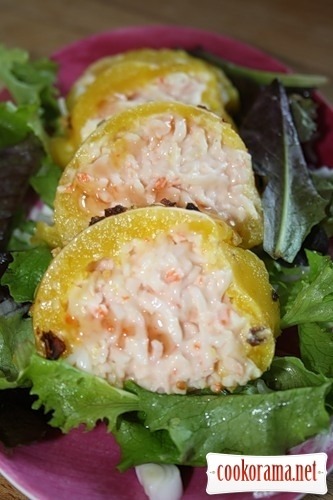 Season crab meat with mayonnaise sauce and ketchup. 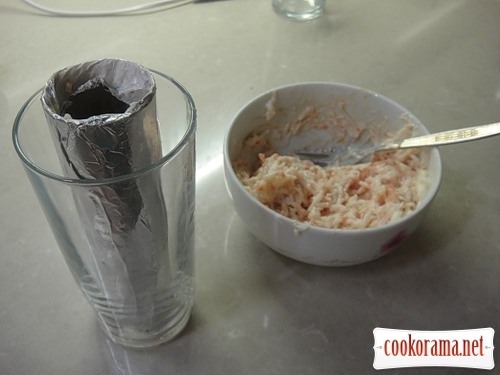 Lay foil tube in a tall glass. 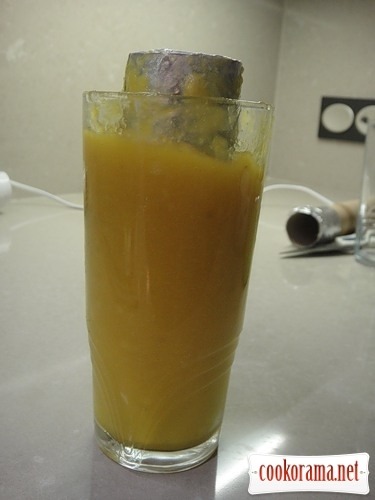 Then, spread mango puree in the space between the glass and foil (warm!!!). 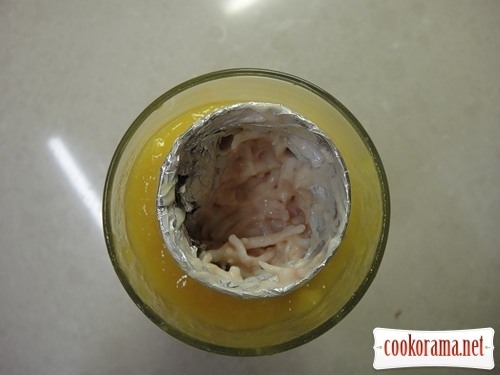 Lay crab meat in the foil tube. Removed foil tube very carefully. 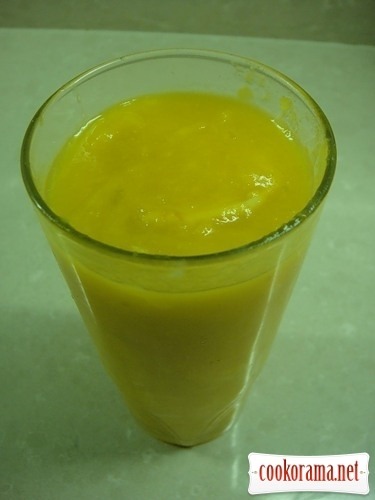 Align mango puree. The second roll is done in a similar way. Put in the fridge for 4 hours. Carefully extract the roll out of a glass. Roll in herbs. Сut into portion pieceswith a very sharp knife. 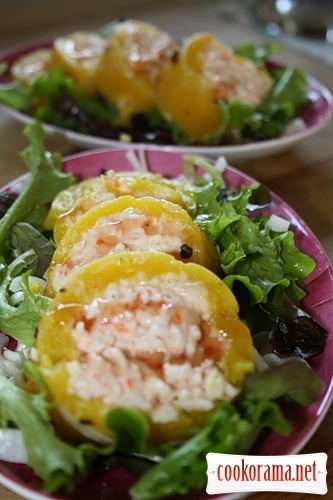 Lay salad leaves and sliced into half rings onion on a plate, and mango roll on top. Decorate with fruit sauce. 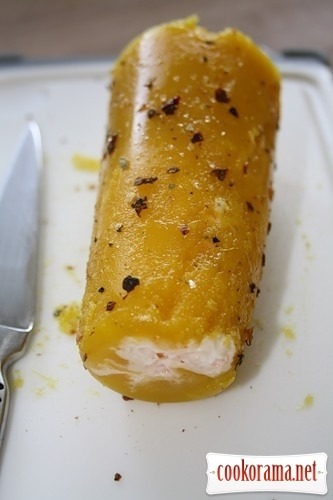 Top of recipe "Mango roll with crab meat"